Overnight slow cooker apple-cinnamon oatmeal makes for a hearty, healthy breakfast. On the coldest of days, it’ll warm you up from the inside out. Because it’s made in a slow cooker, you can wake up to a warm breakfast any day of the week. Oh, I know what you’re thinking, ‘Oaaaatmeaaaal.” Sigh, “But Kita, we don’t come to your blog for oatmeal.” but trust me on this one. Besides, if it was all ‘Manwiches‘ and deep fried lasagna this blog would be all about my cardiac arrest and struggle with opening Lean Cuisine boxes. I’d like to believe that I could eat a cheeseburger every night but that simply isn’t an option. 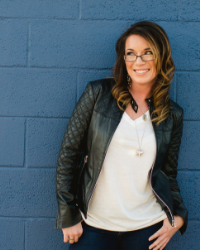 Sure indigence is fun, but we have too keep it straight and narrow if we want Handsome to stick around to build me something new and spiffy (or fix that bike that’s been hanging in the garage for a few weeks now *hint hint wink wink*). And Oatmeal is Surprisingly Good for you. And it is energy. You do need fuel if you’re going to ride a bike for 4 hours, and oatmeal packs it in. I like apples in mine, but I hear that there are crazy disturbed people out there that put berries in their breakfast. Yucky, squishy, berries. How could they? For me, some apple, cinnamon, and just a touch of brown sugar will do it. If you’ve been reading Pass the Sushi, you’ll know I’m not a fan of the first meal of the day, and often skip it until lunch. But overnight slow cooker oatmeal was something I thought I would love. And I did. For a few bites, until I remembered I’m not a fan of breakfast. I’m trying though! 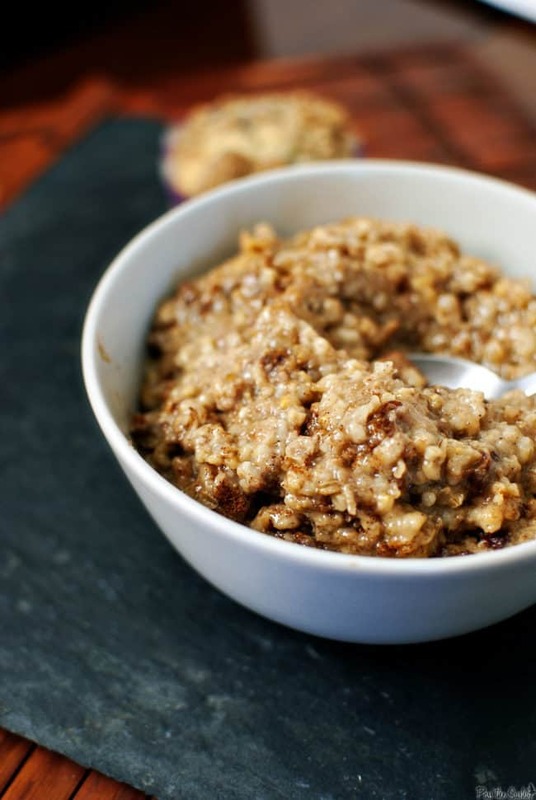 Just do us both a favor and give this overnight slow cooker oatmeal recipe a try. I bet you’ll love it. 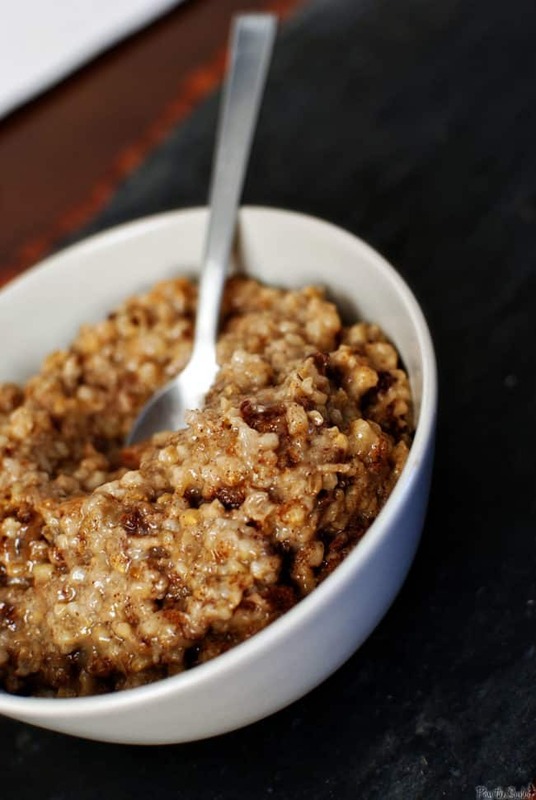 If you’ve tried this Overnight Slow Cooker Oatmeal recipe, or any other recipe on passthesushi.com please don’t forget to rate the recipe and let me know where you found it in the comments below. I love hearing from you! You can also follow along for more good eats and travel tips on Instagram @passthesushi & @girlcarnivore, Twitter & Facebook. Overnight slow cooker apple-cinnamon oatmeal makes for a hearty, healthy breakfast. On the coldest of days, it'll warm you up from the inside out. Because it's made in a slow cooker, you can wake up to a warm breakfast any day of the week. Coat inside of 3-1/2 quart (or larger) slow cooker with cooking spray. Add all ingredients from apples to salt to slow cooker. Stir, cover, and cook on low for 7 hours. Refrigerate or freeze leftovers. To reheat single servings: Put 1-cup cooked oatmeal in microwave proof bowl. Add 1/3 cup fat-free milk. Microwave on high for 1 minute; stir. Continue cooking for another minute, or until hot. Recipe can be doubled in 6-quart or larger slow cooker. Increase cooking time 1 hour. I am a huge fan of oatmeal and this version looks like dessert, yum! I don’t love breakfast, either, but I just had a small bowl (just typed “boat!”) of oatmeal myself! We love oatmeal here, but only with lots of butter and brown sugar. I think after we add all that it becomes not so healthy for you! LOL! This looks good with nice texture. The best and easiest breakfast to make in the world! The only thing I put in the slow cooker is the oatmeal and water. It cooks overnight and I add what I want in the AM. 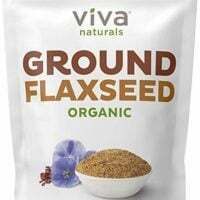 Usually rasins, cinnamon and agave nectar. Probably why mine doesn’t look nearly as good as yours! At first I was all, Oatmeal? Then I saw the picture, then I saw that it was apple cinnamon. Then I was sold. Yum! I heart oatmeal! It is one of my favorite things in the morning or even at night! I wonder if I could make this in the morning and then eat it at dinner time when I come home from work?! Ooo I love oatmeal and everything about Breakfast. Especially ones that cook overnight without me watching over it 🙂 Might have to bring out the slow cooker tonight. I happen to love oatmeal and am always looking for new ways to make it. 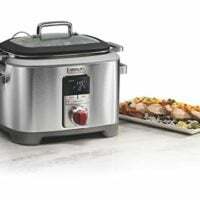 I have a huge slow cooker and am always nervous to make oatmeal in it as I’m afraid it’ll burn, but one of these days I think I just need to go for it. This looks great. I was too lazy to walk to the basement and get out my little slow cooker, so I used my 5qrt one. I was worried about the size but figured what the heck. It turned out just fine. A little crispy on the edges, but I liked that for texture. I’m sad that you don’t like breakfast…that’s the one meal I can’t live without!! But for someone who’s not a breakfast person you sure do make a mean bowl of oatmeal. I’m adding this to my list right now!! I used to skip breakfast until dome health problems were brought to my attention since then I’m trying my best to have a couple of bites early in the morning. Your oatmeal sounds great, we all love oatmeal and I think I’ll have to take the slow cooker out of the box. This strikes me as delicious. I have never used a slow cooker for oatmeal I would have to buy a smaller one. 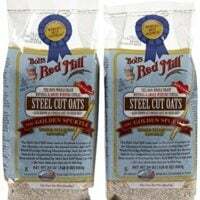 Nothing like steel cut oats. I was raised in Ireland and grew up on porridge and was over it for a long time but it is growing on me all over again. Thanks for this recipe. We have been eating a lot of Bircher Muesli lately, but I am ready for a change and this looks delicious. I love oatmeal and I used to buy those individually packaged ones, until recently. Now I make it stovetop with my own add-ins, brown sugar, cinnamon, etc. But I never knew you could make oatmeal in a slow cooker. Very cool. We love oatmeal. I cooked this for breakfast and it was delicious! It is definitely going to become a regular at our house. I love that breakfast was all ready when we woke up this morning! I put this together last night and I’m eating it as I type (well, you know, I had to put the spoon down and all)…..it’s DELICIOUS! Will definitely be making this again! You can make a big batch and refrigerate the leftovers for later in the week. You can also freeze the oatmeal in a loaf pan and slice off what you need for each day. Last thing I want to do is stand at a stove half awake in the morning to make myself a bowl of steel cut oats. I have made this breakfast regularly since I Pinned it a while ago. It’s a delicious breakfast to wake up to in the morning!! Thanks for the great recipe.